When it comes to blood pressure there is good news and there is bad news. The good news is that Reiki is for blood pressure (BP) - high or low. You can use this wonderful healing therapy to bring your BP within the normal range. The bad news is that hypertension or high BP is a silent killer. This lifestyle disease does not come alone. It invites other health complications like kidney disorder, strokes, heart attack, and more. Hypertension - the name itself suggests a high amount of tension! Tensions are common in the modern lifestyle and so are cases of hypertension. But a little care and caution can help us sail through the storms of life. There are a lot of ways to manage high BP. Of course, checking your diet, especially salt intake, and your way of living are essential, but what is more essential is giving your body a chance to heal itself. First, know the root cause of hypertension. Are there issues in your life that you need to address? They could be giving you constant stress, hence, the high blood pressure. Also, there could be other causes of high blood pressure. It could be blockage of arteries and other physical issues. It is good to undergo a complete medical checkup after the age of 30 to rule out possibilities of any condition. Besides, if your life is surrounded with anxieties, stress, and sedentary work, you must, once in a while, check your blood pressure. Mangement of hypertension is possible only when you know you have hypertension! There are many people who continue with their lives knowing little that they have high blood pressure. It comes to them as a shock one fine day when they feel dizzy or faint or have consistent headaches or other symptoms mentioned above. There are people who even ignore these symptoms. They visit a doctor only when these symptoms become regular and they can, no longer, continue with their daily activities properly. There is one important cause of hypertension that not many people know about. It may surprise you. But once you know it, you can actually understand why the problem of blood pressure happens in the first place. Reiki has proved to be a great natural remedy for lowering blood pressure. Although you may need to take your BP medicines while undergoing this healing therapy, it can help you go off medicines in the long run. In addition, the soothing and the energizing effect that you experience through a healing session is unmatched. Let's see how Reiki for blood pressure helps. The therapy, which involves light to no touching on target body areas, is worth trying. The therapy makes use of hands to heal. The idea is to harness energy centers of the body and restore imbalances in them. You can use Reiki for anxiety, stress, unstable emotions, and fear. These create an imbalance of energy flow in the body and can be the cause of many diseases. A Reiki session helps you connect with the Divine energy and channelize the life force energy flowing within you. When this happens conditions like hypertension and others reduce to an extent that you need not be dependent on medicines to control them. However, results may vary in individual cases, depending on severity of the condition, current health status, receptiveness of the person undergoing the session, and others. Reiki affects the nervous system in a positive way. It balances energy chakras. A study showed that people who underwent Reiki sessions showed a regulation of their blood pressure. First, their high readings reduced. Then, the pressure stayed stable. There is no doubt that this healing therapy provides a stabilized impact on various body functions and on the mind. This affects blood pressure. Finally, you have booked a session for this wonderful healing therapy, great! It could be as a last resort or you may have become fed up with taking medicines. You wish to lead a disease-free life now. Whatever might be your reason to book a session, remember not to let the reason overshadow your chance to heal. Be in the session to heal. Desiring something badly may tense you up and obstruct energy flow. The best way to prepare for a healing session is to make yourselves as receptive to the energy as possible. Affirmations and intentions are smart ways, but you cannot deceive your energy field. It is like an intelligent being who knows the truth. So, if something needs fixing (for example, high blood pressure), your energy being knows it. You can invite your energy and request it to fix the problem. This leads to unbelievable results. A few nights prior to your session, request your energy field to begin the healing process. This is a preparation for the actual healing. Lie on your back and use your mind power to prepare for the D-day. Drop all logic and reasonings. This will help you cut through the conscious resistance. It makes you more receptive to Reiki energy. As the session begins, invite the energy. Make requests. But do not limit your receptive powers to your requests. It is likely that you may receive much more. Please do not control the results. Surrender to the Divine forces. When communicating with your Reiki healer please be honest. Be aware of your breathing and your physical being during the healing session. Take deep breaths. Awareness of your breathing and your being help you connect with your body and your healer. This awareness opens up energy channels. You may want to doze off after a session. This usually happens when the healing is deep. Your body asks for rest. So, do it. Drink lots of water. This aids your body to remove toxins that Reiki energy attempts to eliminate. Consume 'clean' food for a few days before and after the session. This means no meat and alcoholic drinks. This isn't compulsory, but it helps to rake in the maximum benefit of the session. You may feel kind of floaty after a session. Worry not. Just take a walk barefoot on fresh grass. Eat some root vegetable. The session makes you feel lighter, fresher, and energized. This affects your blood pressure reading. "A person suffering from hypertension is basically upset or unhappy about certain situations in his or her life. He or she is unable to accept them or deal with them. The person's heart is aching (metaphorically) and their mind is restless. The mind has a tendency to react to situations. It acts as per its ability. In case of a person with high blood pressure, their mind is not at ease and this is affecting vital organs of their body, such as the heart. Here, if we heal the person's energy body and focus on balancing emotions and energies of certain chakras, his heart and mind will become stronger. Instead of worrying or getting angry or tensed, he or she will get the wisdom of resolving the situation or seeing the blessing in the situation and moving on towards his or her betterment. With healing, they can easily overcome stress and stress-related health issues and lead a better life. Healing works on all organs that are affected due to stress. Once your emotions and energies are balanced, you, no longer, feel tensed. As a result, your blood pressure lowers." "None. Continue taking medication that the doctor has prescribed until you no longer need it. All I ask my clients to do to support is that they do positive Karmas like charity, exercise, walk, or eating right. A little bit of discipline practiced by the patient or client is always required as our Karmas decide our fate. If a person doesn’t make necessary lifestyle changes, then the healing will have a slow effect until the person has the wisdom to make the necessary changes. So need not to worry in any case. However, patients or clients do tend to get impatient, if the healing is slow or ineffective (although healing is never ineffective). In such cases, always advise them to take an initiative to change… as our intentions matter the most. If a person is unwilling to change, then the person’s intention is to stay where he or she is (after all actions speak louder than words). The person is probably complacent in his situation. (Even in this case regular healing will change the person's attitude by increasing his wisdom to choose the right)." Last but not the least, Ms. Josan informs that Reiki is for blood pressure at all stages. Even a person who has already suffered a heart attack can undergo a Reiki session. This healing therapy only benefits; it does not harm. She informs that Reiki hand positions for high BP are on the Heart Chakra and you can add Solar Plexus Chakra. Some patients even go off their BP medicines after undergoing Reiki healing sessions. The below information is for those who still may not be aware of their blood pressure status. How do I know I have hypertension? If your blood pressure reading suggests systolic pressure 130-139 and diastolic pressure 80-89, then you have stage 1 hypertension. In case the systolic pressure is 140 or more and the diastolic pressure is 90 and above, you are in stage 2 hypertension. anything above this takes you to the Emergency Room. If your BP is at 120/80 or a bit lesser than this, relax and rejoice. You have no hypertension, but you can still undergo Reiki to maintain this happy state of your heart. What happens if you ignore these signs? Metabolic Syndrome, which features multiple disorders like high insulin and cholesterol, increased size of waist, and atherosclerosis, which is the hardening of arteries. Reiki is for blood pressure and other diseases that affect your vital organs. This is a harmless and beneficial healing therapy that promises to increase the quality of life. It helps you connect with the Divine forces and harness the power within you. Reiki is no rocket science, but it still requires the hand of a trained practitioner, who can help you walk in the realms of energy. 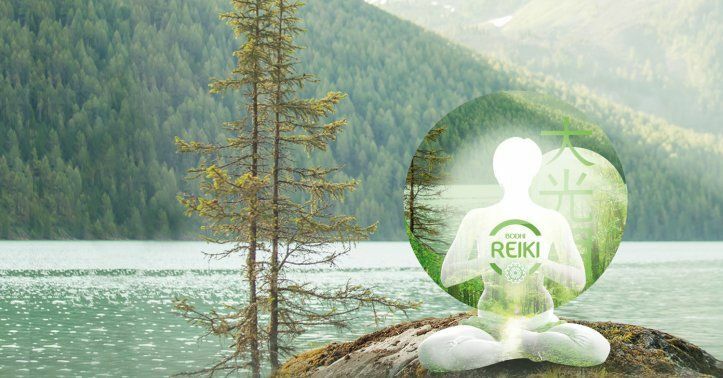 So, if you are somebody who hates to pop pills or wants to live life in a healthier manner, Reiki is for you.